Delivering high performance, secure, customized and seamlessly integrated websites, web apps, portals, and web applications is our specialty. We are experienced in providing mature & emerging web solutions to Richmond, VA based companies. We offer UI development for websites, apps, and portals. Using deep expertise in design, we serve your purpose by crafting a unique user experience and interface design. We offer mobile-friendly web development services using agile and lean practices that lead to optimum execution. 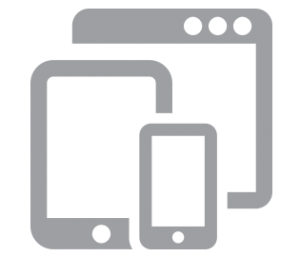 Our designed websites are responsive for most used devices. DevSoft Digital is one of the top Web Development companies in the Richmond, VA area. We make beautiful and stunning websites, portals and web apps with high levels of functionality and awesomeness in sight. To help you realize your most ambitious and complex projects, we strive to help you from one end to the other. We can help you select a suitable WordPress theme for your business or design a custom front-end interface for you. We are well-versed in theme customization as well as custom web development. You can work with independent web developers or work with an established team of partners with local accountability and quality assurance, we provide the latter at highly competitive prices. Driven by passion and innovation, we deliver top notch custom web development services to our clients, ranging from startups to enterprises. Our clients come from all over Virginia and other states. While developing websites, we keep your industry, requirements, aesthetics, UX, and search engine optimization in sight. 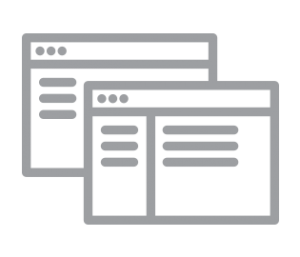 Our websites are well-optimized for multiple screens (large or small) and are built to rank on Google search engine results. We customize our development to fit the unique needs of your business. Whether you want to create a new website from scratch or redesign an existing website, we can partner with you to provide the most cost-effective solutions in the Richmond, VA area. Owing to rapid mobile adoption and Google’s Mobilegeddon (The mobile responsiveness update), we ensure that our clients receive a responsive and mobile-friendly website. The same goes for web apps and SaaS products, if their target is mobile visitor, we ensure that they are easily accessible via small screens. According to recent research, consumers are increasingly using mobile devices to access web content and that is why building truly mobile responsive websites is very important. And we can do that locally for you. We are based in Glen Allen, VA which is a suburb of the Greater Richmond, VA area.